I am electro hypersensitive and I have tried other portable devices and also stones but they didn’t work for me. With the Blushield I feel more relaxed and balanced and it improves my ability to concentrate. What really fascinates me was the reaction of my horse and ponies when I first had the device on me. I put my horse in the meadow and was arranging her hey, but she kept a few meters distance and had this strange, investigating look in her eyes. Normally she starts to eat right away. Then she came towards me and put her nose to my pocket where I had the Blushield. She stood there for a few seconds before she started eating her hey. Then I put my two ponies in the meadow and they usually run away when I let them go, but they kept standing with me and also put their noses to my pocket. So clearly they feel the Blushield and find it pleasant. Horses are flight animals so if they don’t trust something their first instinct is to run away. I recently also went to a family to measure emf with my Gigahertz HF-meter. The woman I spoke with mentioned that their dog was less hostile to me than to other strangers. So I think that also must have been because I was carrying the Blushield. The reason I noticed that the battery was flat was actually that I started to forget my Blushield and I even couldn’t find it last Sunday. I normally never forget it, which also is an indication for me that it works. Other devices that I had and stones I forgot to take with me all the time. 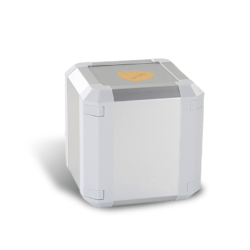 We started using the Blushield devices at home and Mum’s 3 day headaches ceased altogether. From months and months of headaches that actually made her throw up, to nothing within a few hours and she’s now been fine for several weeks since. That is life changing for her and she is someone who has a very high tolerance for pain/discomfort. I live in a building with a cell phone tower on the roof, I was unable to sleep because of this. It was like a fatigue was overtaking my entire body. 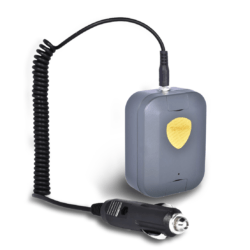 Once I received the Blushield portable and plug in, I immediately implemented them. Now I am feeling much better and am able to sleep in my apartment for the first time in a week. I was able to sleep for more than five hours. I also notice an instant difference if I step out of range of the portable when I am at work. It’s like a storm of painful sensation has abated. Many thanks for the great product and all your help. It appears that the body is responding to the Blushield allowing the body to ignore more stressful environmental frequencies emitted from electrical devices, including mobile phones. We just launched another shuttle tonight and I went through an evening of stress without “going down the tubes”. (I still have energy and am not tired). There is still some effect on me from the EMF in these areas but the improvement in the last two days is amazing. The first day I noticed that the leg cramps were mostly gone. I installed a Blushield in my office at the BOP Polytechnic, as my office is next door to several computer network servers with plenty of electrical fields. I was introduced to the Blushield as it was seen to reduce the stress associated with electrical fields etc. I got one and plugged it in for two weeks. It seemed to make a difference but I wasn’t quite sure or convinced. To really test it, I unplugged it for a couple of weeks to see if there was any change. Over time, I started to feel snappier and more irritable. I also felt it was harder to focus on my work. After the two weeks were up, I re-installed it. It took a day or two, but my mind cleared and I no longer felt stressed out, and it has been good ever since! I’m not going to unplug it any time soon! I definitely recommend the Blushield! My work in a professional video production involves me spending long periods surrounded by electrical appliances, computers and industrial VCR’s etc. In addition, my office is right next door to a cell phone transmitter tower. Last year I was becoming increasingly fatigued and was suffering from a loss of concentration while working. 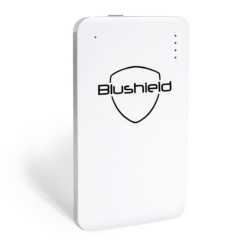 A business associate and friend suggested that electrical fields could be a factor and that a device called a “Blushield” may be worth trying. A Blushield was duly installed in my office. Ten minutes later I suddenly realized there had been a profound change in the atmosphere of the room. From a vaguely ‘prickly’ feeling the air conditioned room had somehow become fresher feeling. 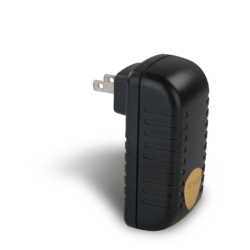 My husband and I have migraines easily but ever since we received the Blushield Portable, the migraines come and go faster than expected. My mother-in-law had commented that the Blushield had made her sleep better throughout the night and my friend had also mentioned that even though he had only few hours of sleep, he still wakes up feeling better and not as lethargic as before. My friend’s sons are 2 hyperactive kids, but the teacher had commented that they seemed to have better focus during classes now. I put the portable near my toddler during her sleep and found out that perhaps it is too strong for her. So I changed to a Mini and noticed she was able to sleep better throughout the night. She used to have some kind of breathing problem, now it has reduced alot. 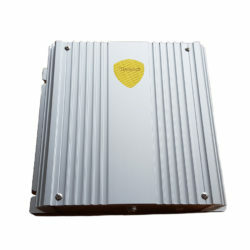 We realised that all Blushield models had the effect of boosting the sound effects and enhancing music of any kind. Especially when we play techno songs, the bass is much more enhanced and significant. I come to know your products from my friend who is a club lifeguard. At first, I was sceptical, however I am now convinced. My wife suffered asthma for some twenty years, now she doesn’t need an inhaler at all. All symptoms related to asthma are now completely gone. Her doctor was surprised; we did not tell him it was due to Blushield, for fear of being ridiculed. I also feel more energetic, some days I was even able to lift weights at my gym club even when I had only slept for a few hours the previous night. My staff are feeling more relaxed and are not as stressed out as before. Thanks to your wonderful device. 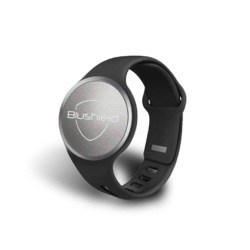 I have recommended Blushield to my uncle and aunty who are having health problems. I will definitely introduce others to your wonder product. The money I spent is well worth it, and the cost is very reasonable. I have 2 devices the Tesla gold portable (first purchase, owned and carried every day since one year now) and the Tesla gold plug-in (bought 3 months later). This technology has literally been a life-changer for me. I was suspicious of Wi-Fi bringing me down during my “return to studies” in computer programming. One year into the studies I was finding my concentration levels dropping and my anger levels rising so easily. I took a vacation for two weeks to a house with only one distant weak router (we used mobiles at the table outside and always had weak connections) and upon return to college I was feeling fantastic and refreshed from my holiday! I sat down for my networking class in a room of around 15 wireless laptops, 2 Wi-Fi access points, many routers (not Wi-Fi) and switches. About 30 minutes into the class I had a horrible attack of nausea, dizziness and what I can only describe as feeling like my brain was being twisted! I am a healthy man, 34 years old, I run, swim, cycle, do yoga totaling at minimum 6 hours a week, I eat GMO free apart from meat (too expensive) and NO processed foods or dairy. This for me was 100% conformation that I am EMF sensitive, I do not care what any doctor (I use naturopathy now anyway) or government study says! (The results of using this tech is even more conformation). I searched the internet for a solution and found Blushield. Being a student (“return to studies”) the cost was a risk but I’m so thankful. I had received and used the product for just over a week (without telling my partner) and one night after a few days of feeling better I couldn’t sleep because of euphoria! I declared this to my partner and told her about what I had bought, and she said she had noticed how I’d been in such a good mood recently (she was skeptical about my Wi-Fi suspicions). To put it short (as this review is one of the first in my life and is getting rather long) my life quality has improved tenfold ever since! I don’t think I need to say any more apart from everyone’s EMF tolerance is different and although I carry the portable whenever I’m out the house I still start to feel uneasy after around 3-4 hours close proximity to a laptop communicating with an access point (my mobile phone don’t seem to be too bad although I use mine for less than 20 calls or texts a week and is not close to me while in the house). I hope it works as well for every other customer. To Blushield, thank you so much.